Slashed council funding will not affect the ambitious multi-million-pound projects connected with the Aberdeen city region deal, a committee heard yesterday. Members of the committee overseeing the delivery of the massive scheme met at Aberdeen’s townhouse yesterday to discuss progress. The package of pledges was signed in November 2016, with Aberdeenshire Council, Aberdeen City Council and Opportunity North East agreeing the deal with the UK and Scottish Governments which is estimated to be worth £826 million over 10 years. Included are the likes of the massive city harbour development, the oil and gas technology centre and a big boost for digital connectivity in the north-east. But councils are braced to slash tens of millions from their budgets this year. 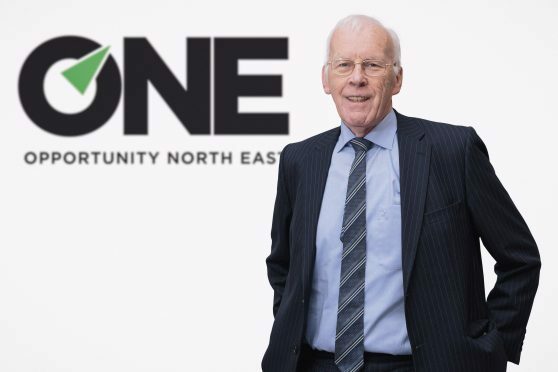 Yesterday committee member and former oil industry boss Sir Ian Wood asked whether the “well publicised” comments by politicians on the budgets would put the city deal projects in doubt. City council city growth officer Richard Sweetnam said the funding was already in place to deliver.